Greater Kuala Lumpur is one of the fastest growing metropolis in Southeast Asia. Courtesy of PTLM-Patchay.Com Kuala Lumpur Urban Developments. 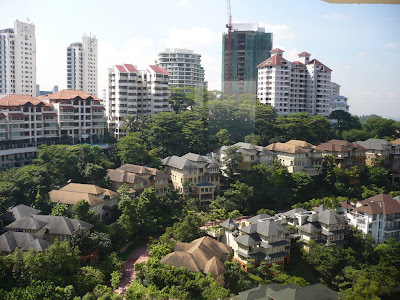 The scenic neighbourhood of Bangsar in suburban Kuala Lumpur. Founded on the prevailing needs of a cosmopolitan society, the 41-storey The Establishment steers away from tired routines of city living in the convergence of loft-inspired suites partnered with ambience and facilities to unwind. Crowning The Establishment will be an intimate city hotel managed by Singapore-based Alila Hotels & Resorts, providing impeccable amenities to both residents and hotel guests. With its in-the-heart-of-it-all location, just a hop off the Bangsar LRT, The Establishment stands for two of the most basic desires in a contemporary residence – style and substance. 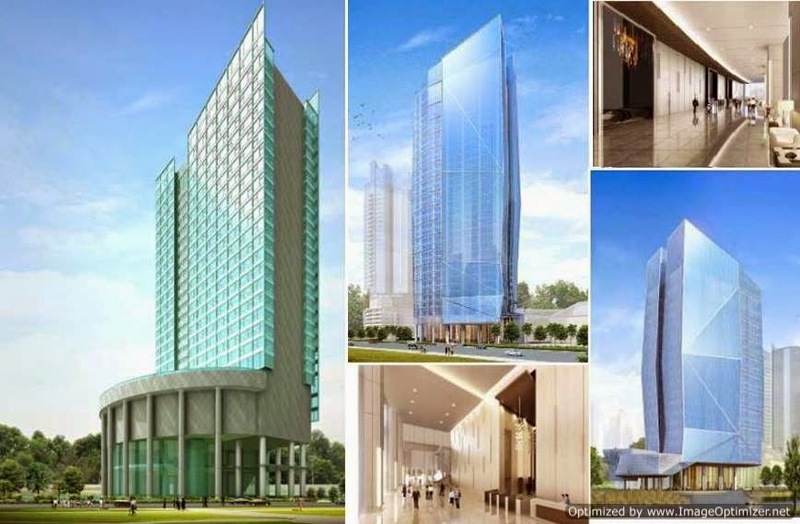 Upon completion in 4 years, The Establishment features 646 luxury serviced suites, six floors totalling 124 hotel rooms, a spa and several food and beverage outlets with a total gross development value of RM450 million. 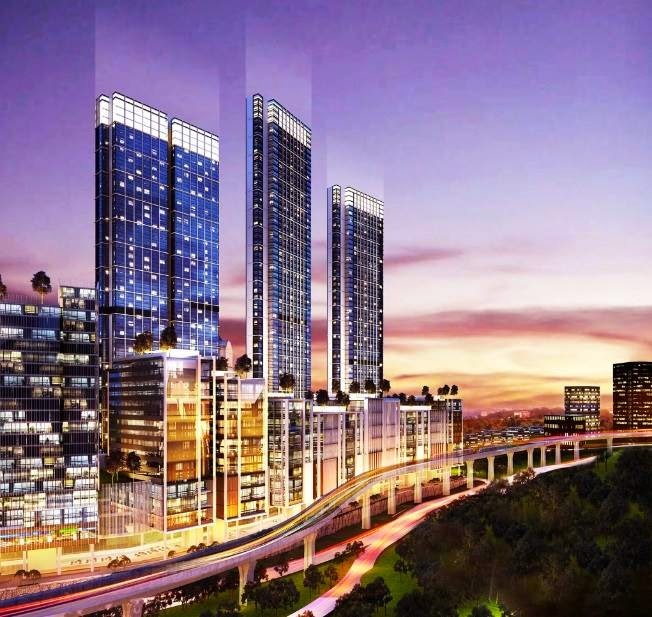 Leading property developer S P Setia Bhd is looking to create a RM8 billion mixed integrated development with a cultural hub, alongside with other developments on land in Jalan Bangsar that currently houses five National Institute of Health (NIH) agencies. The cultural hub will consist of a museum, a people's library and a state-of-the-art performing arts centre. The 40-acre land deal was a result of a privatisation swap in exchange for building a new NIH integrated health and research complexes for the Ministry of Health (MoH) on 55.33 acres of land the company already owns in Bandar Setia Alam in Shah Alam. Conceptualised as an integrated development, Bangsar City Centre was first touted to be sited at the former Unilever Malaysia's factory site. The site has been left vacant since Unilever moved out in 2003. Located at the intersection of Jalan Bangsar and Jalan Maarof adjacent to Dataran Maybank and Bangsar LRT station, the land initially belonged to Perbadanan Aset Keretapi but has since changed hands to new owner Pelaburan Hartanah Bhd (PHB). 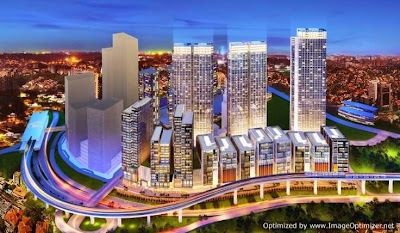 Reports from early 2012 state that developers such as Mah Sing Group Bhd, S P Setia Bhd and Malaysian Resources Corp Bhd had submitted bids to participate in the proposed integrated development project. Moving forward, PHB plans to develop the 19.6-acre site into a new landmark project for Kuala Lumpur through joint ventures with other property developers. 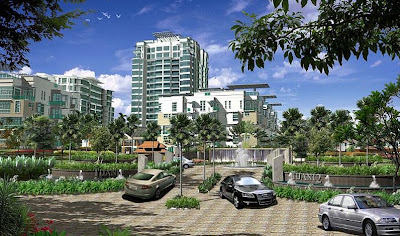 PHB submitted a fresh proposal to City Hall in June 2015 after shelving its initial development plans worth RM5 billion three years ago. 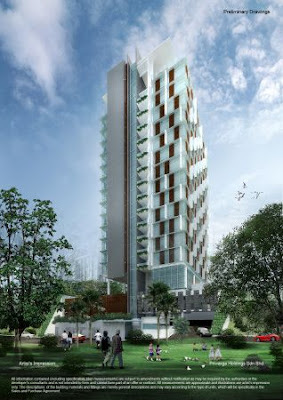 This is Media Prima's proposed future headquarters in Jalan Riong, Bangsar. Media Prima Group is Malaysia's largest integrated television broadcasting, radio broadcasting, media, digital content, outdoor communications and publication company. Impress your guests with stunning foyer and concierge area on arrival, greeted by the waiting lounge with a reflective pool. Leave all your stress and anxieties behind as you elevate yourself to the roof garden on the 38th floor. Imagine the subliminal emotions evoked by the panoramic skyline, the sheer touch of relaxing breeze and even better, the atmospheric night sky. What a way to unwind yourself after a long day! Also known as LUXE Bangsar, this property is strategically located and quietly tucked away in the heart of Bukit Bandaraya. 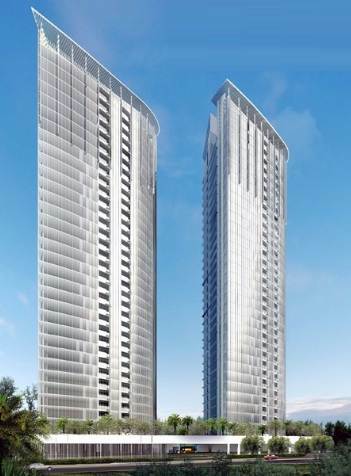 This exclusive residential community is 17-storey high with only 18 units of luxurious homes, making it a much-coveted low-density development for high-style living. Large balconies invite the outside in, giving the discerning few a heightened sense of freedom, surrounded by breathtaking opulence. 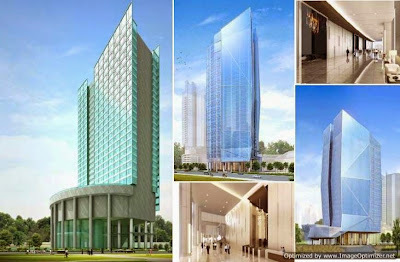 Over 6 acres are devoted to Serai, where a quiet, elegant structure of two towers flank a glass facility podium within a tiara-shaped plot. 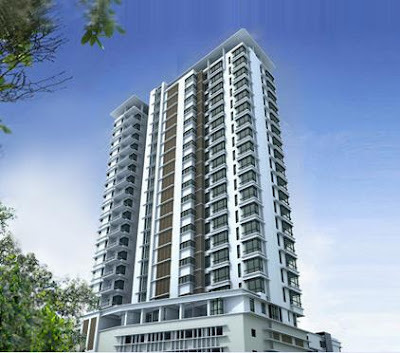 This haven is one of the last prime piece of real estate in the sought-after Bangsar area. Offering over 3 acres of sprawling lush expanse and creatively landscaped to aesthetic perfection, Serai will take your breath away with a treasure trove of thoughtful, well-designed luxuries. The proposed 38-storey commercial development is sandwiched between Menara UOA Bangsar and Dataran Maybank. 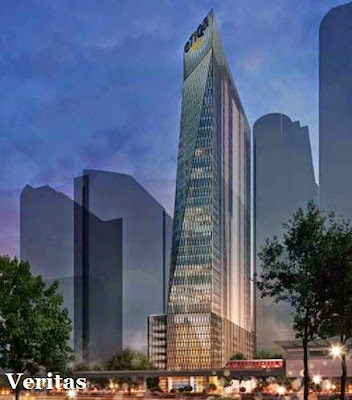 The tower will house the future headquarters of Etiqa Insurance Berhad, which is part of the Maybank Group, Malaysia's largest financial and banking group. What used to be an open-air carpark, the project finally kick started in early 2015. 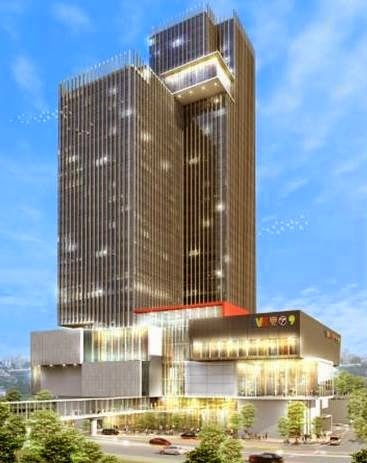 Right next to Bangsar LRT station and Dataran Maybank is a 39-storey oasis of corporate excellence. Major tenants here are public transport operator Syarikat Prasarana National Bhd (SPNB), French shipping liner CMA CGM, Hitachi Data Systems, Novo Nordisk, Meiden Malaysia, Tokuyama Malaysia, International SOS Malaysia, intellectual property agency Perbadanan Harta Intelek Malaysia (MyIPO) and online news portal The Malaysian Insider. 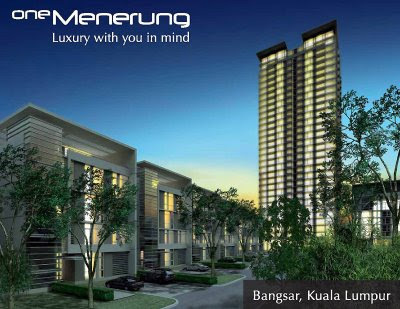 From the quiet colonnade of trees at the entry-way, to the tattoo gardens that soothe the lines of the buildings – every aspect of One Menerung is enhanced by exquisite greenery that will naturally frame your living spaces and cushion the sounds of the city. Located at the highest peak of Bangsar in the exclusive enclave of Bukit Bandaraya, Ken Bangsar is a home much adored as an enviable retreat. Ken Bangsar brings you on a journey to enjoy life's little moments with those closest to you, whether it be a tete'-a-tete' over coffee or a lavish dinner party. 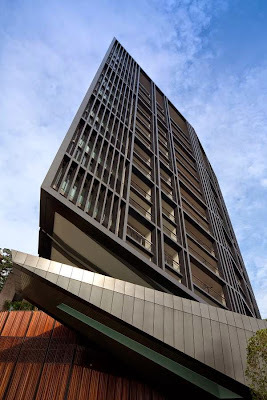 Located along Jalan Penaga in the premier Kuala Lumpur residential address that is Bangsar, Rhombus sits at the top of the highest point of Bangsar with the best, all-encompassing panoramic view of every landmark in Kuala Lumpur. 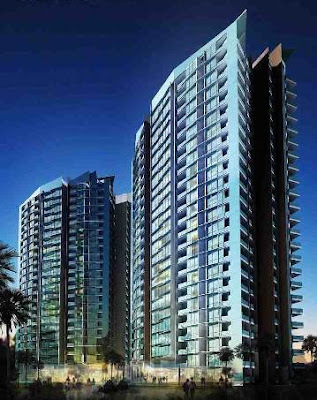 Featuring a collection of avant-garde condominium units, carefully crafted by award- winning designers, Rhombus defines high-end luxury living in Malaysia’s most prestigious address. 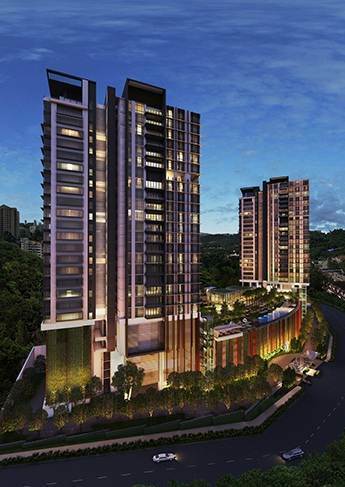 Rising high above the surrounding landscape, Suasana Bangsar luxury condominiums exude a subtle blend of elegance and style that offer a scenic panorama of the affluent Bangsar and the vibrant skyline of Kuala Lumpur city centre. 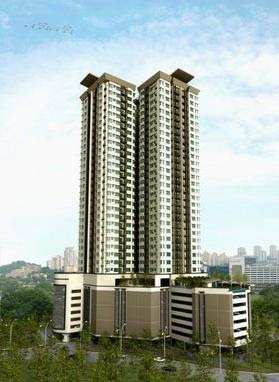 With Bangsar Peak, the tradition of Bangsar exclusivity and privacy is continued. Built at Bangsar's highest point, the world is literally at your feet as it towers against a backdrop of the distant highlands. It symbolises a treasured family heirloom for the next generation, and for generations to come. Gaya Bangsar has everything a young and aspiring urbanite requires. As the colorful streets of Telawi come alive during the night, residents have the option of savoring the many flavors of Bangsar's nightlife, or to delight their gastronomical senses in one of the many new upmarket restaurants located nearby. 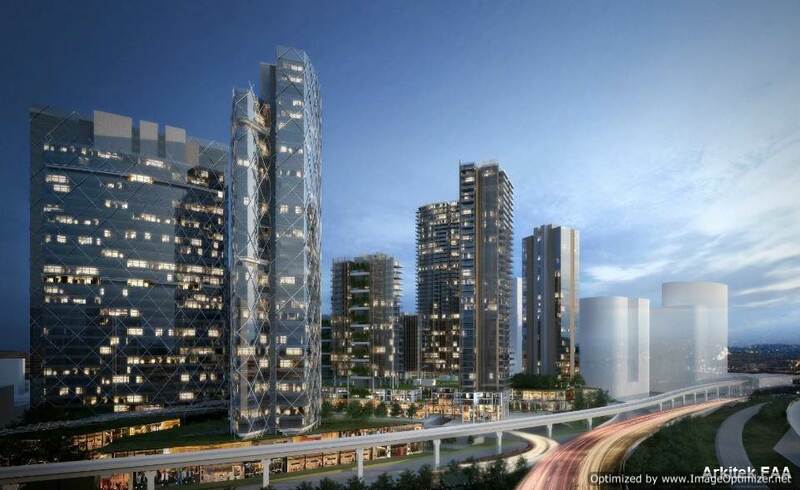 At the junction of Jalan Tanduk and Jalan Liku will be the future centre of architecture of Malaysia. Pertubuhan Arkitek Malaysia or the Malaysian Insititute of Architects through PAM Education Fund (PEF), decided in October 2010 to purchase a two and four storey building at the proposed site with the intention of developing it as an architect-driven centre for contemporary arts in the same spirit as the National Art Gallery and Museum of Modern Arts (MOMA), in their formation days. The shopping mall has undergone a major transformation and will look upscale and trendy when completed. 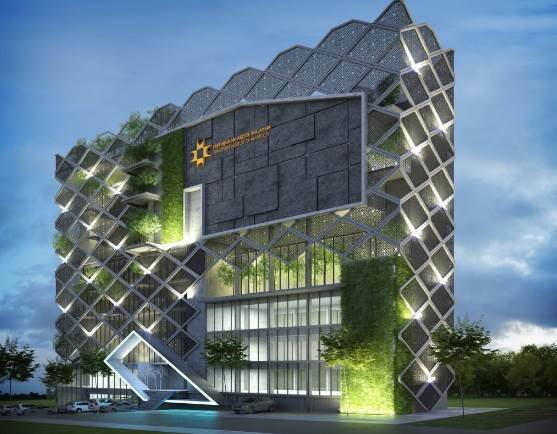 A few components have been added, including a 4-storey retail annexe and a 12-storey signature office tower that will be the new headquarters of its developer, Bandar Raya Developments Bhd. Retail attractions here are W.I.P, the city's best kept secret, Hakata Ippudo Japanese Ramen and Jasons Food Hall, an upmarket personalised gourmet market. From perfumes to shoe polish. From a refreshing cup of coffee to delicious margherita. Forget work and strip all your worries to a soothing body massage. This is Bangsar Shopping Centre, the shopping destination for the city's young professionals and expatriate community. 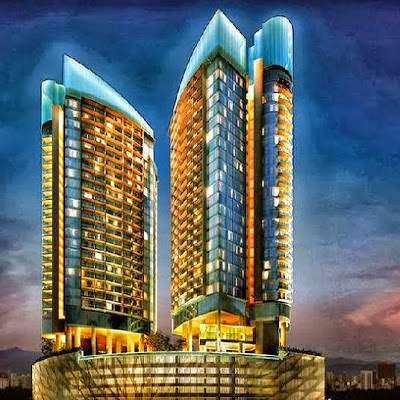 Pavilion Damansara Heights, as it is to be known, is exquisitely crafted by the Pavilion Group and designed by world renowned Leonard Design Architects. 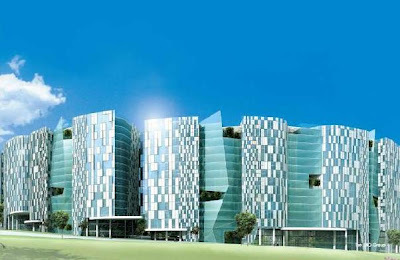 This is a highly-anticipated multi-billion ringgit blue-chip integrated mixed development for Damansara, Kuala Lumpur. 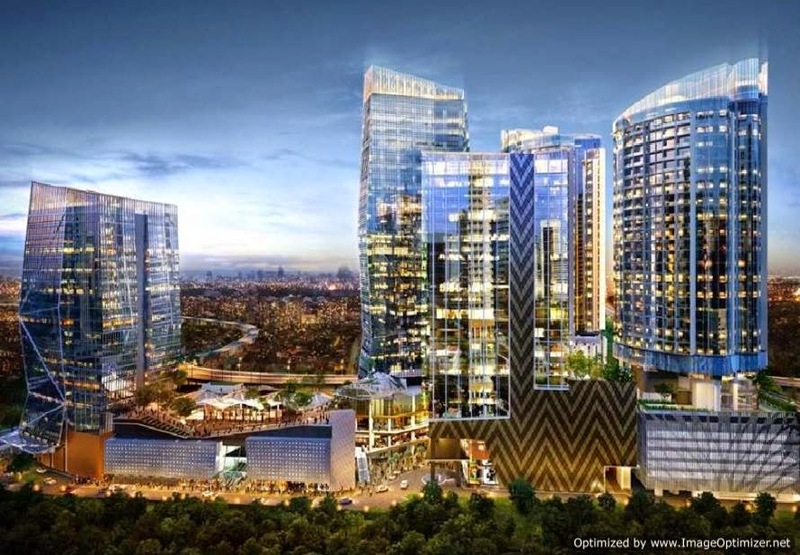 This year, Impian Ekspresi Sdn Bhd (IESB) will undertake the urban redevelopment of Pusat Bandar Damansara (PBD) or Damansara Town Centre in Damansara Heights, which is Kuala Lumpur's most upmarket suburb. IESB is a private company indirectly controlled by Tan Sri Desmond Lim Siew Choon, who is both chairman of Pavilion REIT and Malton Berhad. The entire project will now cover an area of over 15.84 acres to be split over two phases. The first phase will be built on the first parcel of land consisting of old office buildings acquired by IESB several years ago from Johor Corp (JCorp), the state investment arm of the state of Johor. It would cover an area of 9.5 acres. The first phase consists of a 5 level retail galleria with 6 levels of basement, 8 blocks of 5- and 7-storey office blocks, 3 blocks of 12 to 18-storey corporate office towers and 3 blocks of 40- and 42-storey service apartments and premier service residences. 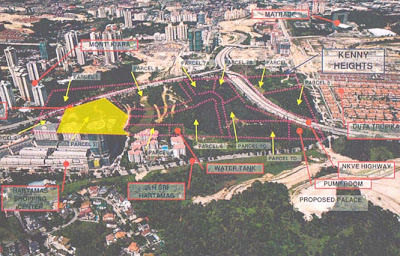 In September 2014, Jendela Mayang Sdn Bhd, which is another private company linked to Lim, acquired 6.34-acre tract of land sited next to the first parcel. The tract of land was acquired from Selangor Properties Berhad (SPB) at RM450 million, or equivalent to RM1,628 psf. 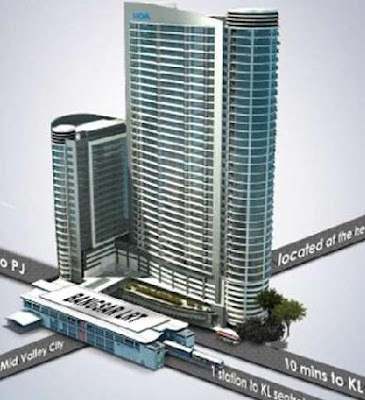 This tract of land is important as it served as a gateway between the PBD MRT Station and the first parcel. 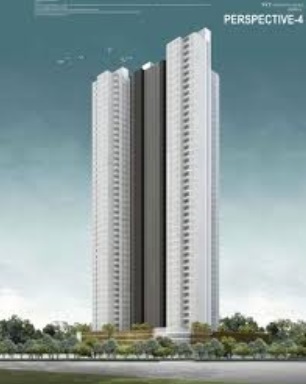 It is currently being planned as the second phase of Lim's greater plans for PBD. 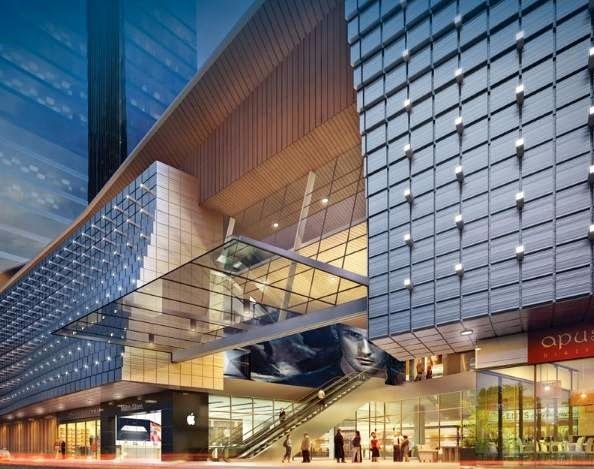 The second phase would provide a large extension to the retail galleria as it is the closest to the MRT Station. 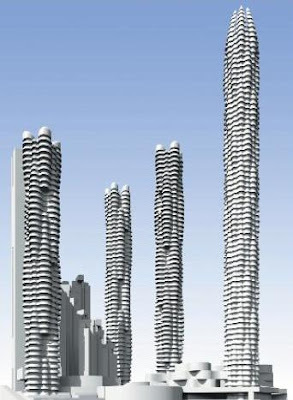 Several more residential towers and a hotel tower will be built above it. Situated in the heart of Pusat Bandar Damansara, the RM2.5 billion Damansara City (simply DC @ Damansara Heights) is envisaged to be an integrated commercial development encompassing a boutique retail mall, the Damansara City Mall, office towers for Guocoland Group and Hong Leong Financial Group, two blocks of luxury residences and a 5-star boutique hotel reflecting the theme "A City to Live, Work, Rest and Play". The project began construction early in the third quarter of 2011. 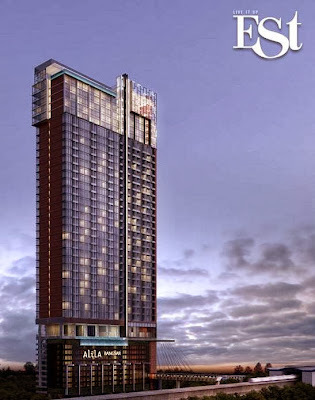 The project had won itself the Highly Commended Retail Development in Malaysia 2012/2013 and the 5-Star Award for the Best Residential Highrise Development in Malaysia 2012/2013 at the prestigious Asia Pacific Property Awards 2012 in association with HSBC. Damansara City is one of the key entry point projects (EPP) under the Economic Transformation Programme (ETP) to transform Malaysia into a high-income nation by 2020. 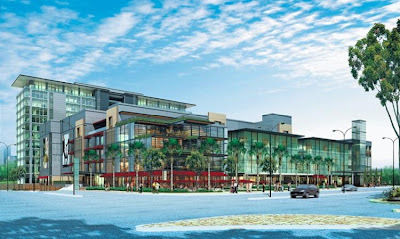 Being a flagship project by developer GuocoLand Malaysia, part of the Malaysian conglomerate Hong Leong Group, the development is expected to feature the region's first Clermont Hotel, which will be an upmarket brand under Thistle Group-owned hotels. Thistle hotels in Britain are already owned by Guoco Group Limited, which in turn owns GuocoLand Malaysia. Meanwhile, DC Residency comprises 370 contemporarily designed and luxurious serviced apartments comprising 1-bedroom to 3+1-bedroom units and penthouses. The elegant and refined fittings and appliances for DC Residency include the world’s finest brands such as Poggenpohl, Miele, Gessi Emporio and Catalano. 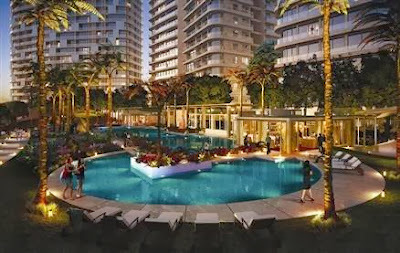 DC Residency will also provide five-star and hotel-inspired amenities such as an Olympic-length salt water infinity pool, Jacuzzi, sauna and steam rooms, private dining rooms, function rooms, multi-purpose hall, barbeque area and chauffeurs’ room among others. 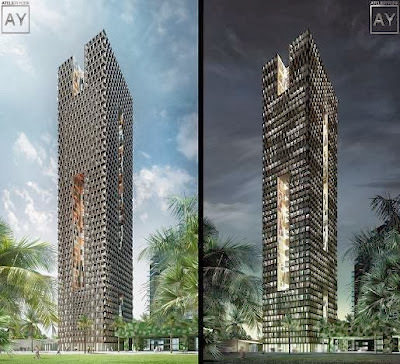 Almost beyond expectation, two spectacular avant garde towers, a fusion of glass and metal thrusting upwards to 36 storeys, their glistening profile attracting attention and admiration. The towers rise as a celebration of life itself, joyful and inviting. A dream that has become reality; this is your ultimate suburban living made possible by a relentless joint effort between Lion Group, AIG Global Real Estate Investment Corp, Koh Brothers and Heeton Holdings. 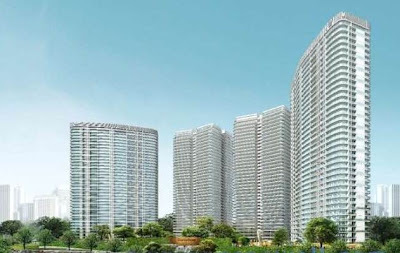 Selangor Properties Bhd, one of the largest landowners in Damansara Heights, is expected to launch two blocks of high-end condominiums at Jalan Batai by end of 2015. The developer has received authorities' conditional approval despite residents in nearby vicinity have protested against high-density developments several years ago. The project will commenced construction in early 2016. 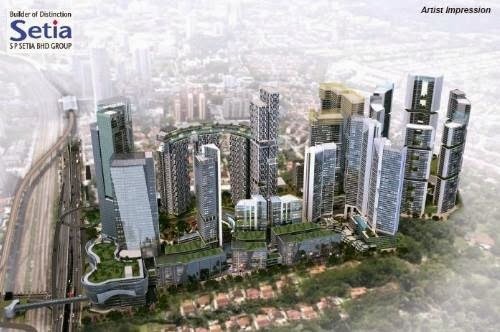 A proposed mixed development project by Selangor Properties Bhd. The architectural style that best depicts the soul of Clearwater Residence is "poetic modernism". This sanctuary is modern and elegant, and that of projecting an image of a fresh and contemporary city abode. 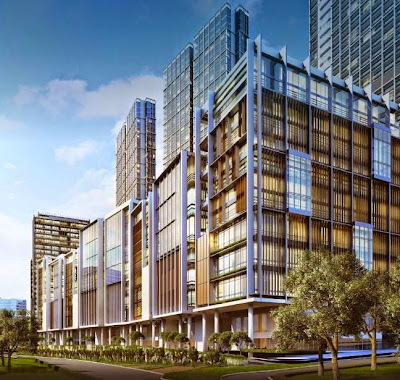 To be developed jointly by Eastern & Oriental and Selangor Properties Bhd along Jalan Semantan (near Wisma Damansara), a total of 7 blocks over 9.3 acres will provide much sought-after 'Grade A' office space and serviced residences of approximately 2 million sq ft in gross floor area. 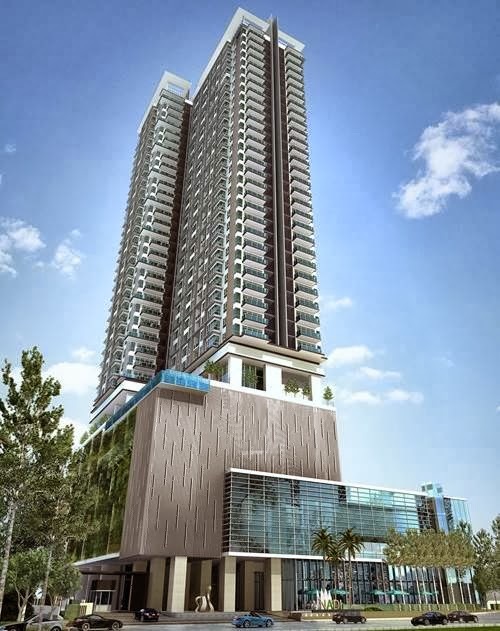 Zephyr Point, an upscale boutique development in Lorong Basong, Damansara Heights, comprising only seven units, namely three penthouses and four 3-storey villas. 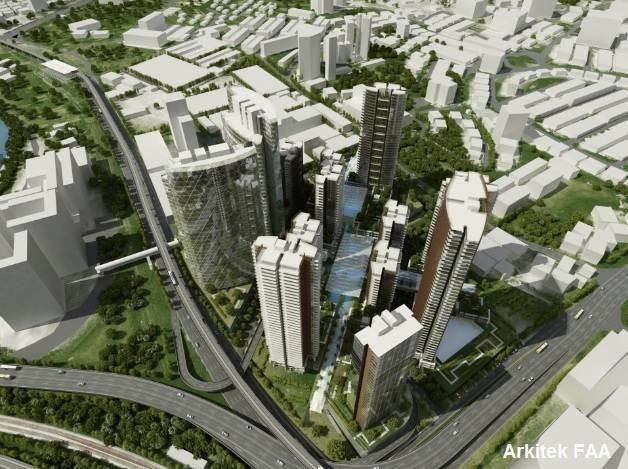 The project, which is built on a 1.37-acre freehold site, has an indicative gross development value of RM75 million. The masterplan of Kenny Heights - a vision of community for 2021. Kenny Heights is KL's grandest midtown development covering 88 acres of freehold land in the Beverly Hills-like neighbourhood of Kenny Hills and Damansara Heights. Kenny Heights will be developed over 15 years, featuring an array of commercial and residential space designed by the largest grouping of global architects such as Foster + Partners, Adjaye Associates, Benoy, Sir Terence Conran and Partners, John Van Hage, Kengo Kuma, Patrick Blanc and Zaha Hadid Architects. 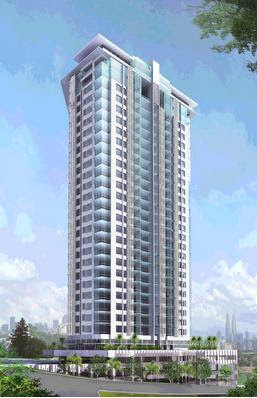 Kenny Heights Future Development: mixed use including a supertall tower. 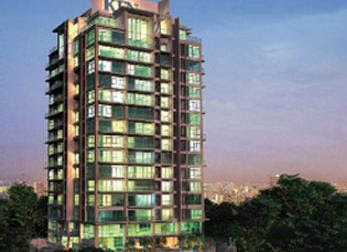 Kenny Heights Estate offers 49 freehold residences in a private community. 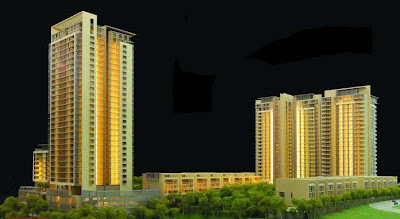 Its low density commands a premier living space with a wealth of exclusive amenities. A highly indulgent collection of 20 limited edition villas will be designed by Kengo Kuma, with connecting pools and Patrick Blanc's vertical gardens within these residences as an extension of your sanctuary. Upcoming is the nature inspired, Kenny Heights Sanctuary. Designed by landscape designer John Van Hage, it epitomizes the aspiration of high living for a private sanctuary and personal space, created through clever landscaping. Its private spa will be managed by an award-winning international wellness spa operator. Phase 1 of Kenny Heights Sanctuary presents two 38-storey condominium towers with signature interiors by Hecker Phelan & Guthrie of Australia and Conran & Partners of United Kingdom. The signature Conran-branded Residences will come into sight here, offering edectic services including restaurants such as D&D London. Kenny Heights Central is a mixed use of space that includes three 50-storey towers designed by Foster and Adjaye - a clubhouse-residences, an apartment and a luxury hotel residences. Another three low-rise residences, a retail podium and a connecting terraced-like piazza sit proudly adjacent. 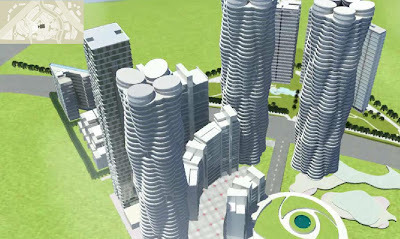 An artist impression of Kenny Heights International Zone depicting commercial and residential establishments,all housed in several sky-reaching skyscrapers. Located in Malaysia's most prestigious residential address, Arata, often referred as Tijani 3, is a three-tower development of 10 storeys each with only three units per floor within 1.24 acres of freehold land. 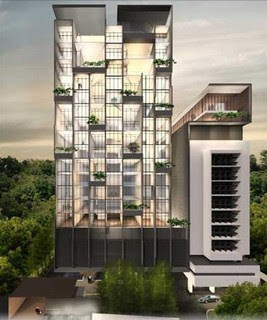 Designed for the young professionals with built-up area ranging from 900 sq ft to 2,400 sq ft.
Towering over a lush canopy of green, Arata is akin to a violet tiara adorning the jealously preserved exclusivity of Kenny Hills. The luxury of low-density privacy at Arata is accentuated by ingenious architectural planning, centred on a 3-unit to a floor ratio. A hidden gem found in the heart of Kuala Lumpur, Tijani 2 North is situated within the most sought-after Kenny Hills neighbourhood. An air of prestige surrounds the area as it is well-known to be the address of the rich and famous. Tijani 2 North is a lavish, low density development offering 70 duplex units and 84 condominium units spread over 7.4 acres – a density of only 21 units per acre. 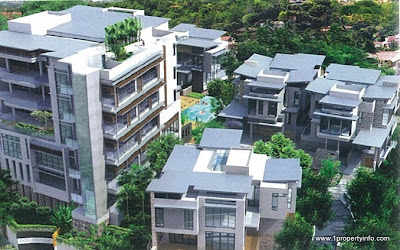 In the wooded enclave of Bukit Tunku are gracious mansions of the city's elite. 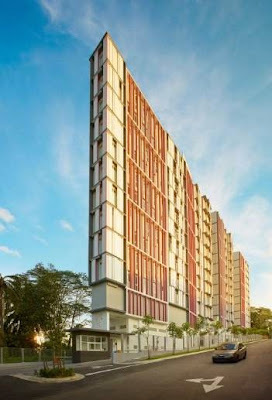 Now, a new luxury development by one of the nation's foremost industry leaders, Sime Darby Brunsfield, welcomes you to join its privileged community. It is called Kenny Hills Residence.